It’s that time of year again where the threat of snow is a fresh memory and the April showers are setting in. With the slow ascent of the temperatures, so grow our desires for outdoor change. What are your desires for your outdoor projects this year? Are you hoping to add some more landscaping? 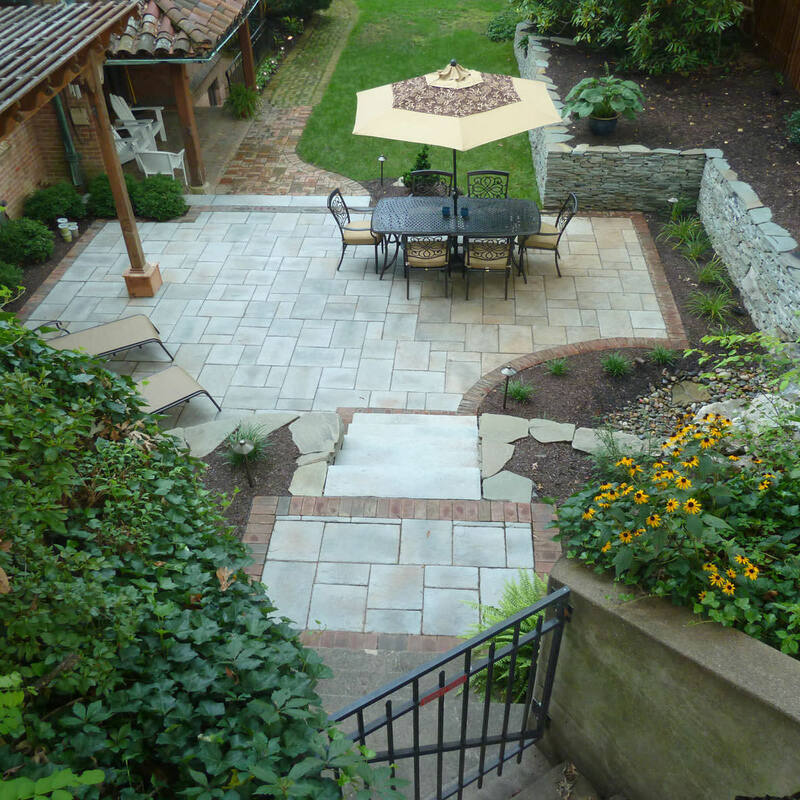 Do you want to replace the crumbling walkway from the driveway to the backyard? Have your ambitions grown to the point where you are ready to explore the options of a full-blown backyard transformation? The anticipated outcome will determine which professional you should start to research and reach out to. It is a common misconception that landscapers and landscape design/build firms all do the same thing and are interchangeable, but that is not the case. While every business is different and offers their own set of services, it is important to know the differences between the two professions. Each landscape company varies in the services they provide, but their services are usually straightforward and plantcentric. By rough definition, landscapers are professionals that perform the physical act of planting new trees, shrubs and plants, establish new landscaping beds, and who also modify and maintain existing landscaping and lawns. Armed with extensive knowledge in all plant material, landscapers can aid in the selection of the right plants for your property, so you are not investing in plants that won’t thrive. 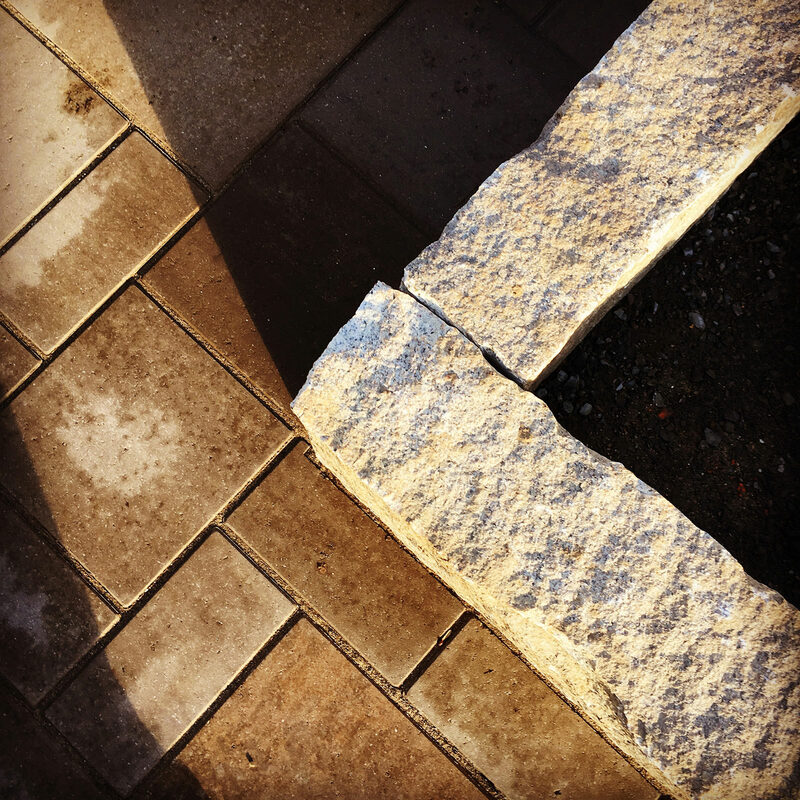 While some landscape company solely focus on plantings and maintenance, others may focus on landscaping but specialize in aesthetic hardscaping. Installing softscapes including features like irrigation, and hardscapes including features like paving and paths typically stem from in-house design work. The landscaping plans from a landscape company generally do not include structural items that tie to the existing house, but rather stick to the features independent within the landscape like arbors and water features. Most landscape companies offer maintenance services that may include mowing in the warmer months and snow plowing in the colder months. 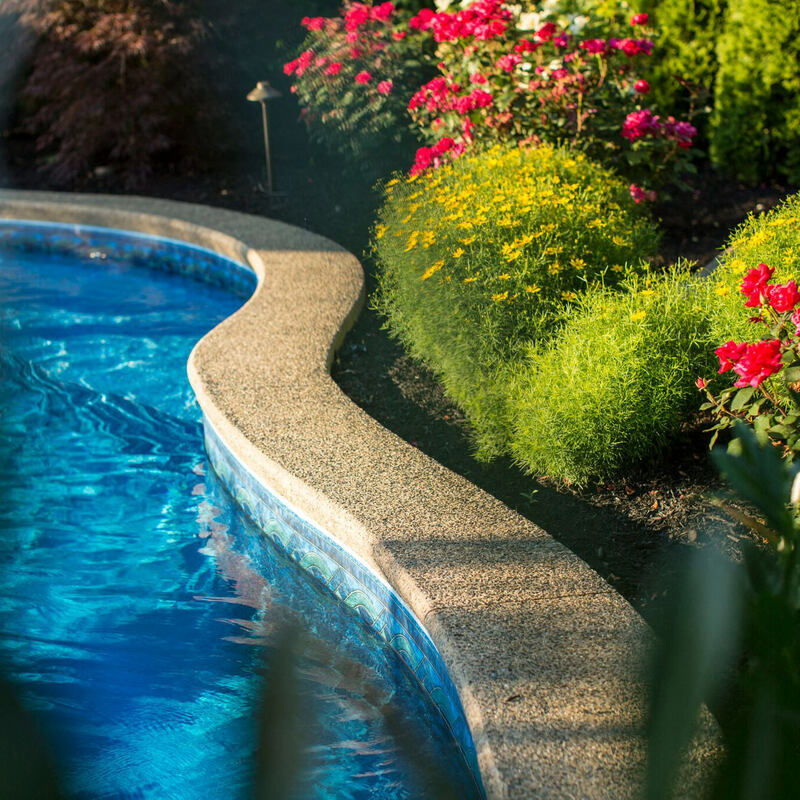 So, if you are considering a project that leans toward being more aesthetic than feature based, a landscape company will serve you best to achieve your goals. 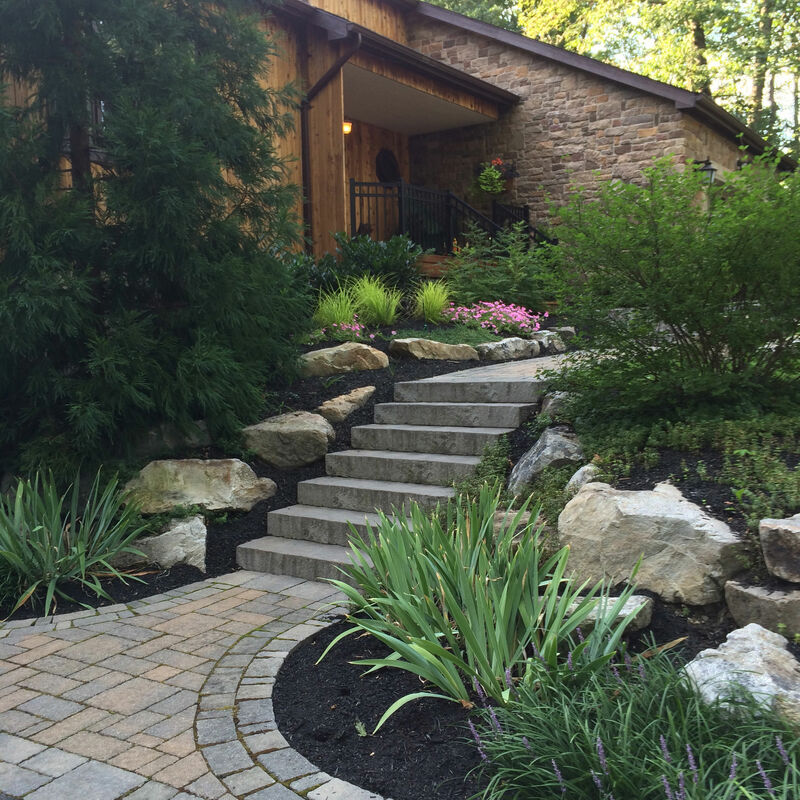 Just like landscape companies, landscape design/build firms should also be quite knowledgeable in all plants and materials used within the landscape and provide design and installation services. The one main difference between the two are landscape design/build firms are designers that build, not builders trying to design…the difference is enormous! With extensive background and areas of focus in design, architecture and engineering, landscape design/build firms will focus on medium to larger-scale outdoor living projects to provide an extended outdoor living space to you and your family. 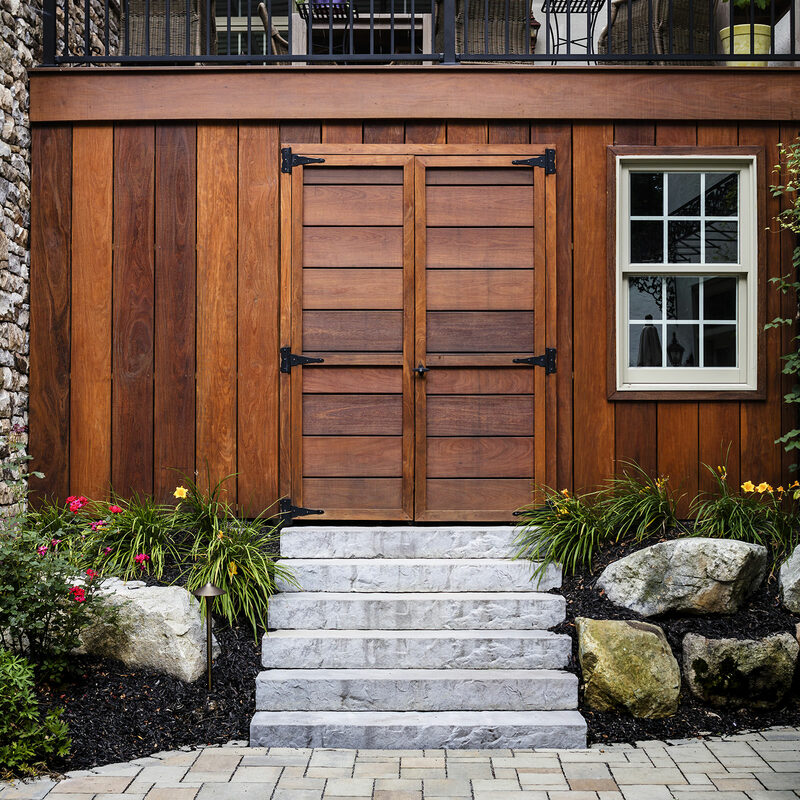 These projects will introduce structural elements into the design, such as decks with roof structures, retaining walls, and even the inclusion of swimming pools, outdoor kitchens, fire features…basically anything you would like to incorporate into your plan! 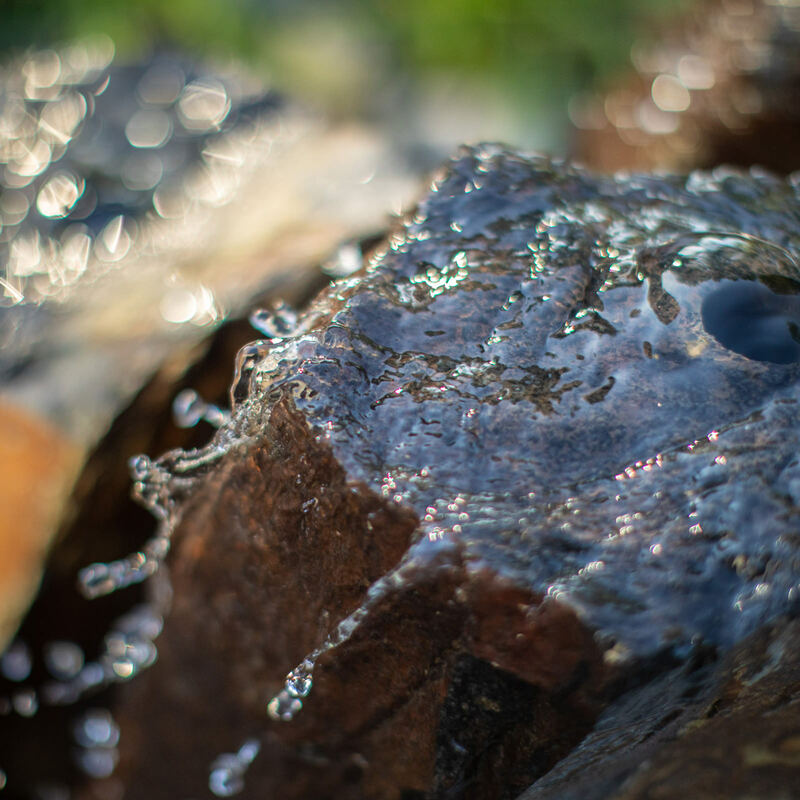 While softscapes are not a landscape design/build firm’s main focus, landscaping, lighting and features like irrigation are all important details that bring the whole living space together as a beautifully unified plan! Landscape design/build firms are the perfect choice for homeowners who are not quite sure what they want to see in their backyards, but know that they want more enjoyment from their property. As experts in problem solving and creative solutions, these firms will work side-by-side with structural and civil engineers to ensure that a client’s dream backyard is designed and constructed per the most current codes and safety regulations. Permit acquisition and inspection scheduling should also be handled by the firm, as the engineered plans of the project will need to be submitted for local municipality compliance and approval. In retrospect, a perfectly planned landscape throughout your property will add beauty to your property, while and a well-thought out and constructed outdoor living project will increase the value of your home and enhance the enjoyment of your family, perfectly creating a seamless indoor/outdoor transitional living space. 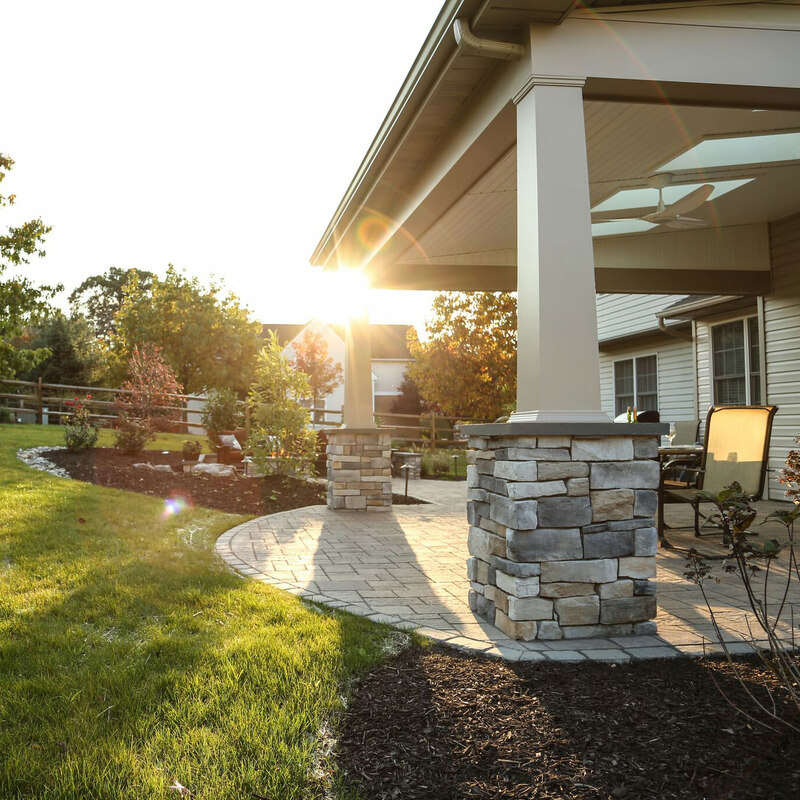 When you are ready to move forward with your outdoor project this season, think about the desired features and scale of project to ensure you will be contacting the proper professionals. 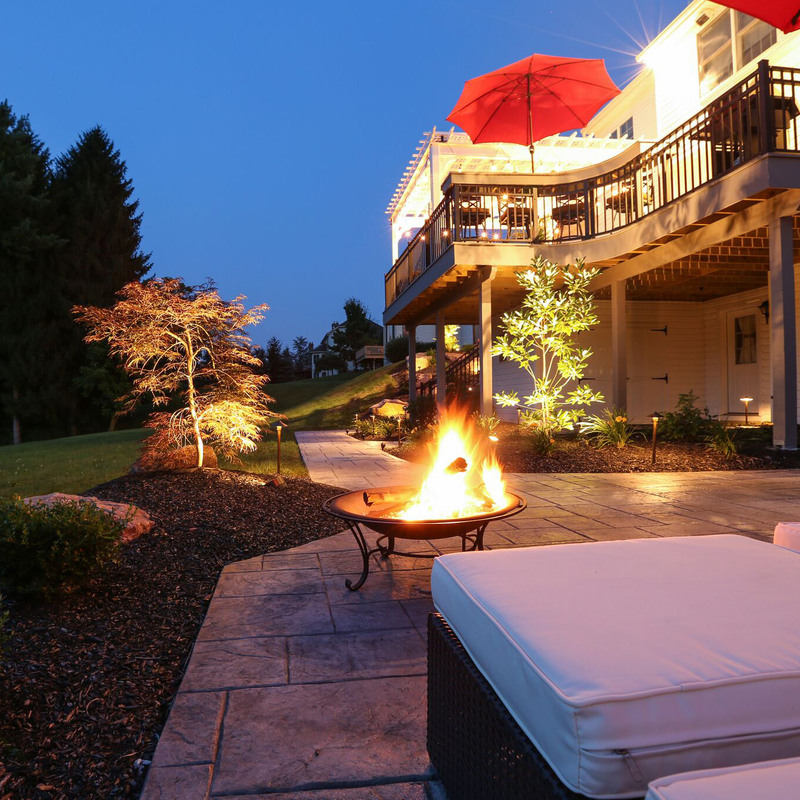 For those in the Poconos, Lehigh Valley, through the Main Line of Philadelphia and western New Jersey seeking a passionate, professional yet caring landscape design/build firm to enhance their lives and property, MasterPLAN Landscape Design is ready to chat! 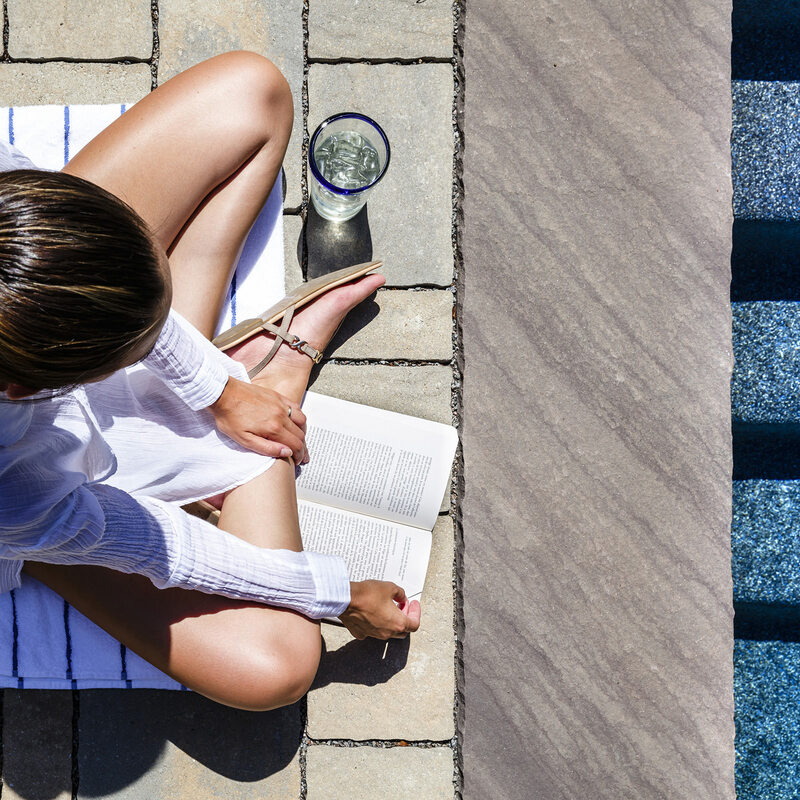 Don’t hesitate to reach out to us at MasterPLAN with your questions and desires for your own extended outdoor living spaces; we would love to help you discover the full potential for your property! 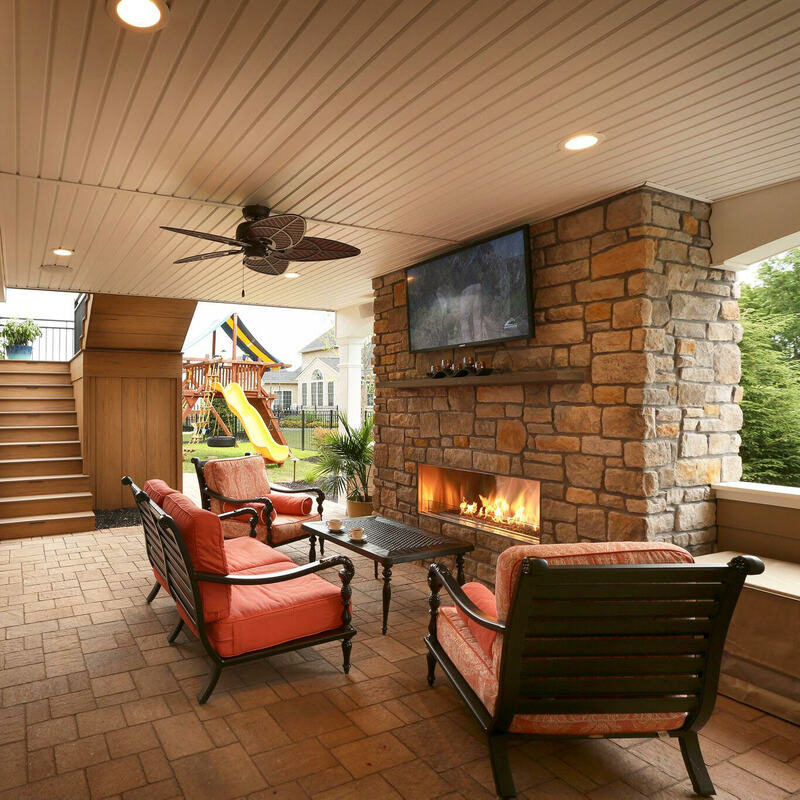 MasterPLAN realizes that your outdoor spaces are much more than just a deck, patio or landscaping, but a place to share stories and laughter, creating memories for the whole family. A comprehensive outdoor living space will not only look beautiful but will increase your happiness and outdoor satisfaction, and it all begins with a conversation. When you are ready to reach out, we are ready to listen! We would love to welcome you and your family into the MasterPLAN family.